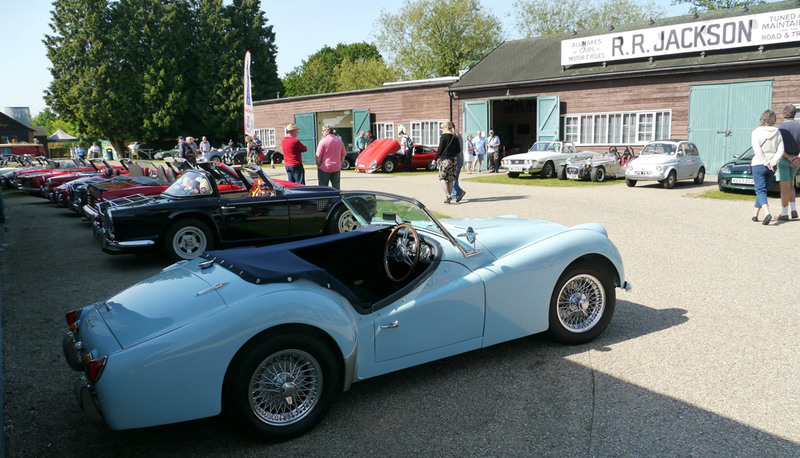 "I joined the TR Register (UK) in 1975 with my TR 5 - not that welcome then as it had windup Windows !!! I sold it sadly to Pete Buckles who was a founder member of the register and he had a shop locally - Cox and Buckles spares. He helped me a lot while I had the 5 as inevitably bits dropped off. it came out of the factory with matching numbers. That's why I wanted to restore it. 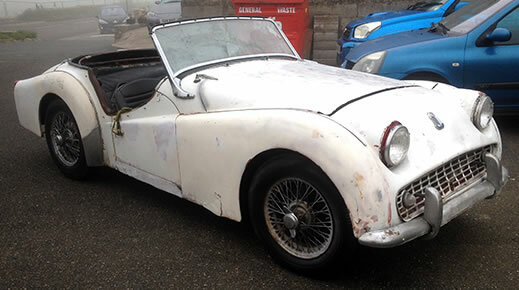 A Californian export, matching numbers 1959 Triumph TR3A . 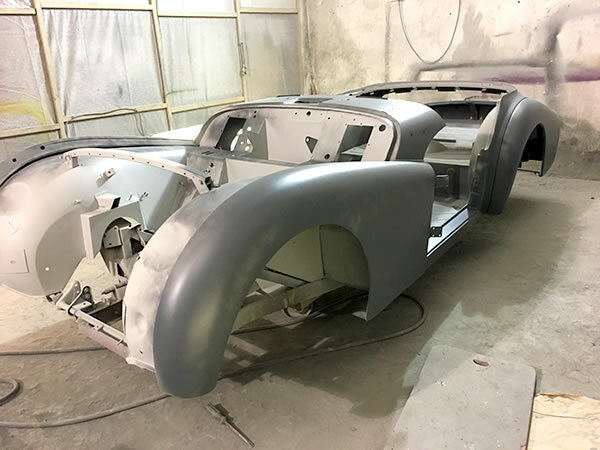 Purchased as a Barn find in California on the in July 2014, the car was stripped down to a shell the chassis was simply sand blasted and painted, with no welding required. It was then built up with all new suspension polybushes, including upgraded coil springs, Spaxx shock absorbers, negative camber vertical.The body was stripped down and new floor panels, inner sills and outer sills fitted. The doors, wings, bonnet and boot lid have been blasted, etch primed and primed. Gravitex stone chip was then applied to the inside panels, as well as underneath the arches and inside the doors/wings. 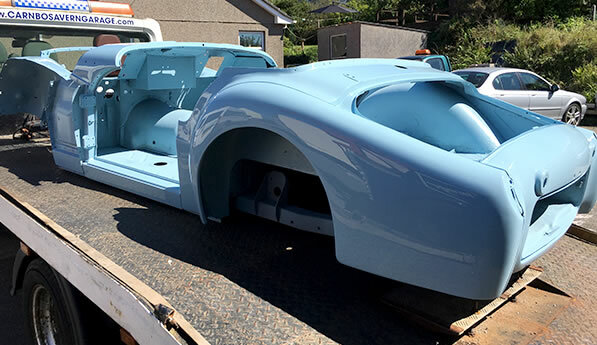 The body was taken back to bare metal, coated in Jenolite, etch primed, primed and painted in an original option colour Powder Blue. The original engine has been stripped back to a bare shell. The head was sent off and converted to unleaded fuel, with the block machined and an uprated oil seal fitted. The engine originaly1991cc has been rebuilt and upgraded to the engine option in late 59 cars to 2138cc with a high torque camshaft. Various new parts fitted in the rebuild include an oil pump, valves, guides, crank regrind, chain and tensioners, uprated water pump etc. The 4 branch exhaust manifold, known to give off a lot of heat, has been ceramic coated by Zircotec with a white finish. Coupled with heat shields to the carburetors and alternator, this prevents any potential problems installing this exhaust system. New parts being fitted include new chrome work (including stainless steel bumpers), navy blue interior, lights etc. The engine has been fitted with a rebuilt TR4 gearbox and an A type overdrive unit. 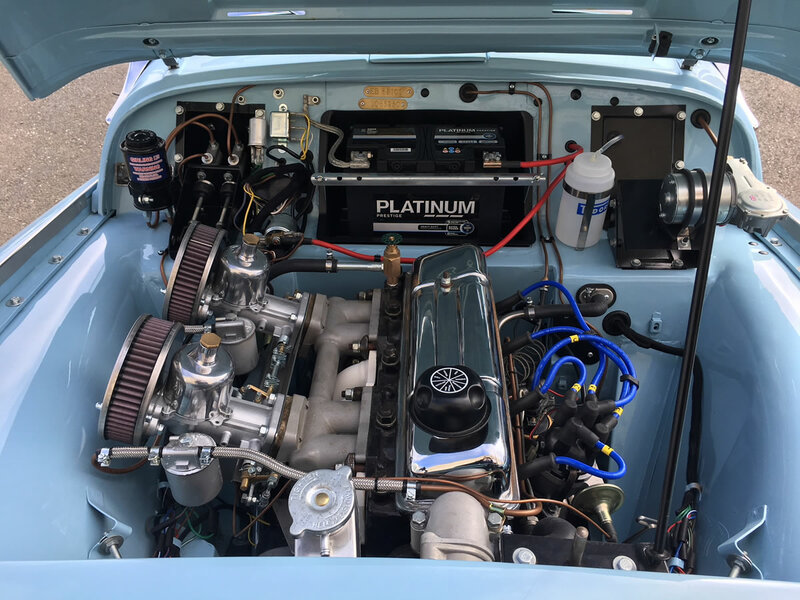 Various upgrades have been fitted in the engine bay including a TR6 wiper motor, aluminum radiator, Revotec electric fan, uprated ignition lead set, CSI electronic ignition and coil kit etc. The floor panels and inside of the doors have been protected with Silent Coat sound proofing. A new navy vinyl trim kit has been fitted and all new capping’s covered. The interior has then been finished off with navy wool carpets and matching leather seats that have been completely overhauled. The dashboard has been covered in matching vinyl and then had all new switches and reconditioned clocks fitted. The car has been finished off with navy mohair weather gear and 72 spoke chrome wire wheels. Other upgrades fitted throughout the restoration include a Clayton heater, bespoke wing mirror, 12V charging point, K&N air filters etc. The Car was Lovingly Restored by Terry & Joe Sturgeon and the team at Carn Bosavern Garage St Just Cornwall.